If you have created a vacation rental website (hotel, BnB, guest rooms..) or an association website (sport, leisure), it will be very useful to add a calendar to your website allowing you to highlight important dates. 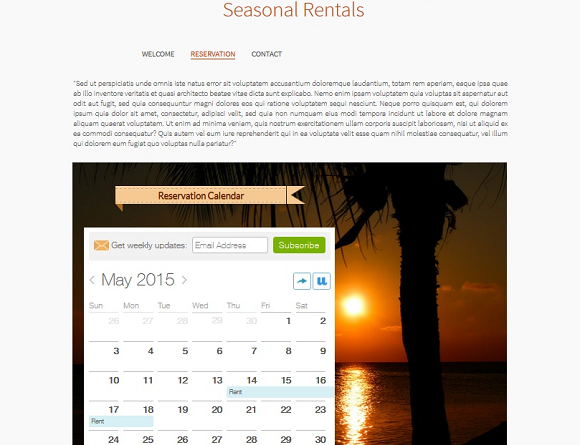 On SiteW, Premium and Pro users can easily and freely add a calendar to their website with the Widget/HTML block. It is very simple: you only need to visit a website offering free calendar widgets and to paste the given code into the Widget block. See also how you can add weather to your website! You must already have a Google Calendar account. In "My calendars", on the left, create a new calendar. Check the box "Share this calendar with others". Select the option "Make this calendar public" then click on Create calendar. Click on the arrow located on the right side of the calendar that you want to share. Select "Calendar settings" and in the "Embed this calendar" section, you can copy the given HTML code or click on "Customize the color, size and other options" to customize the look of your calendar. Fill in the customization fields and click on Create Calendar. You can next customize the event by adding a location, a time zone, a picture… Then click on Publish. You finally can edit, share, duplicate, remove your event. 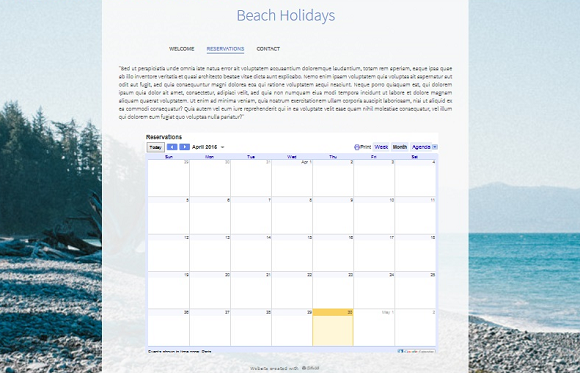 You now know how to add a pretty and handy calendar to your holiday or tourism website. So you are ready for summer!